Marvin Bagley III is ready to make his return. 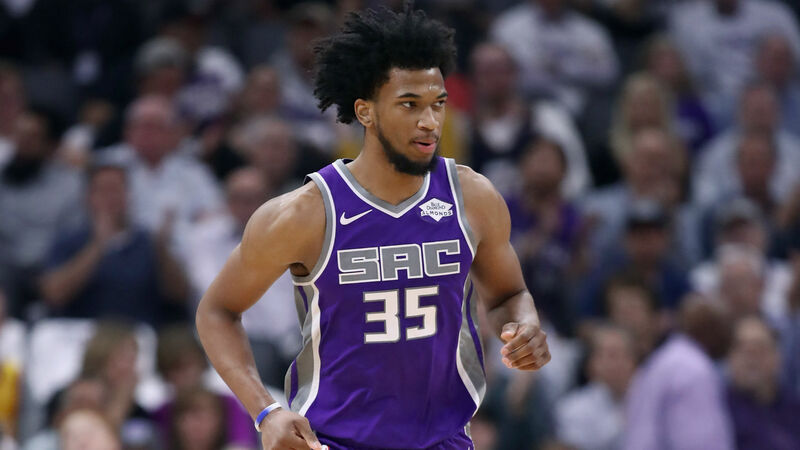 After missing two weeks with a knee injury, the Kings announced Bagley will play in Thursday's matchup against the Celtics. Bagley, 20, initially suffered the injury during the Kings' overtime loss to the Bucks on Feb. 27. He got tangled up with Milwaukee guard Malcolm Brogdon and was helped off the court by his teammates. The forward underwent an MRI the next day to determine the severity of his injury, and was diagnosed with a left knee sprain. Selected by Sacramento with the No. 2 overall pick in the 2018 draft, Bagley has averaged 13.9 points and 7.2 rebounds this season while shooting 50.9 percent from the field. The Kings enter Thursday's game with a 33-33 record, sitting ninth in the Western Conference and 4 1/2 games back from the eighth-ranked Clippers.